"Why is my car idling rough?" My Car is idling rough-what could it be. Does your car feel rough and bouncy when the engine is running? Some common causes – and easy fixes are a loose or broken vacuum hose. It wears easily over time, if not working properly over time it can cause serious engine damage. Clogged filters are another component of rough idling. It’s hard to tell, regular maintenance, is one of your sure fire ways to get this taken care of. The job of an air filer is to clean the air entering the engine and preventing debris from getting to the engine and causing damage. As the capacity to filter air is reduced, the engine performance is altered. 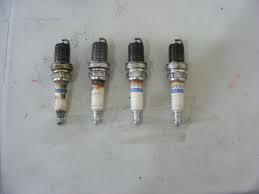 Bad spark plugs wires and/or a bad distributor cap are also causes of rough idling. These parts are important to smooth running of your vehicle. The plugs provide the spark that ignites the air and fuel mixture within the cylinders. These are just a few parts that can cause your vehicles rough idling. It’s past as I said to get your vehicle in for regular maintenance. Come by Ricks Auto Service, we will get you in out and out the door. If you are running on a tight schedule please let us know and we can reserve one of our free loaners.